The M1 Series of handheld manometers combines form, fit and function to deliver precision pressure measurement for field, plant or lab use. Available in differential, gauge and absolute pressure versions. 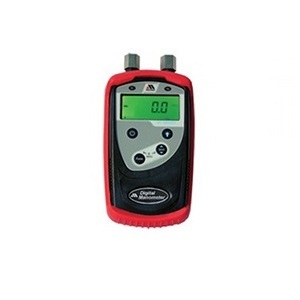 M100 Digital Manometer, 0 to 5 PSI ..
M100 Digital Manometer, 0 to 15 PSI..
M100 Digital Manometer, 0 to 30 PSI..
M100 Digital Manometer, 0 to 50 PSI..
M100 Digital Manometer, 0 to 100 PS..